There’s an undeniable allure in joining the dark side. In Star Wars™ Battlefront™ you’ll be well acquainted with fighting as a trooper for the Empire – but tapping into the power of the dark side can be taken a step further. Quite a big step. Looming, foreboding, and arguably the most menacing characters of all time, Darth Vader is one of the playable Villains in Star Wars Battlefront. With a plethora of powerful moves, Darth Vader’s presence on the battleground will strike fear into all opponents. Almost unstoppable with his melee moves, Darth Vader has a heavy Lightsaber™ attack for short-range uses that will come in handy fighting against a group of Rebels. 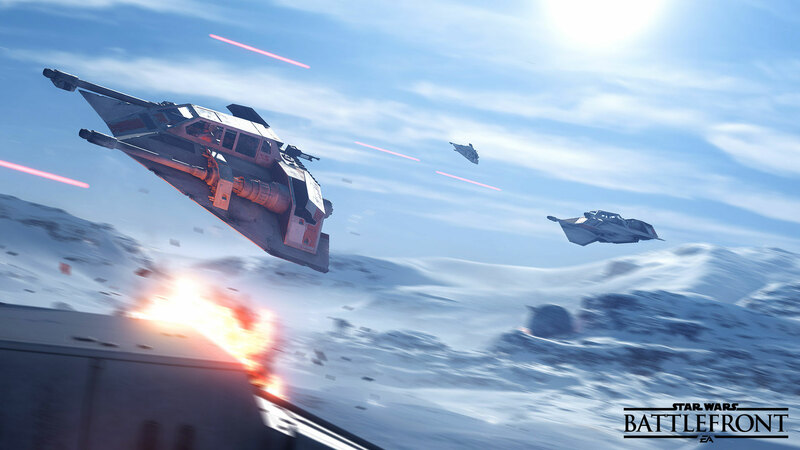 The iconic Force Choke ability, seen in the Walker Assault trailer, lets you strangle enemies from a distance and move them against their will. 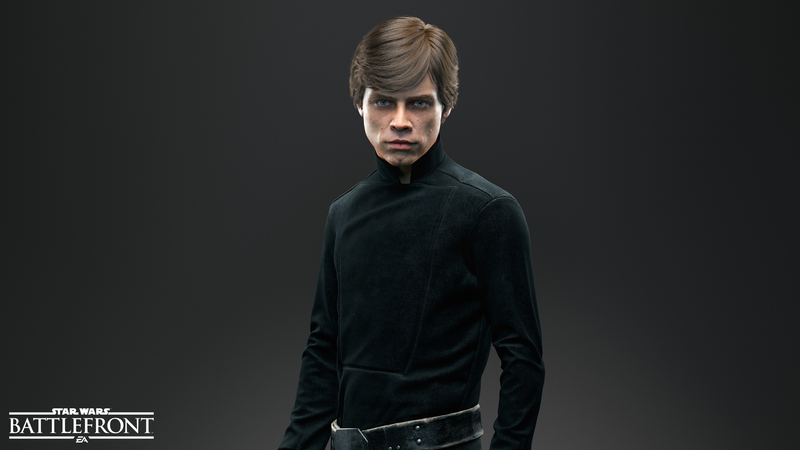 Senior Producer Jamie Keen assures us that there will be quite a lot of depth when you play as Darth Vader. With a bit of practice, you’ll learn how to prioritize threats, and handle several enemies at once. Experimenting with Vader’s different attacks and chaining them together is something we hope you’ll find hugely satisfying. The aforementioned Force Choke is, for instance, great to combine with Vader’s Saber Throw move, where you throw your weapon against a group of enemies with devastating results. So what’s the best strategy if you should suddenly face Darth Vader on the battlefront? Run for your life? No. You can make a dent in Vader’s armor if you use the best tactics for these situations – and it can really be worth your while. 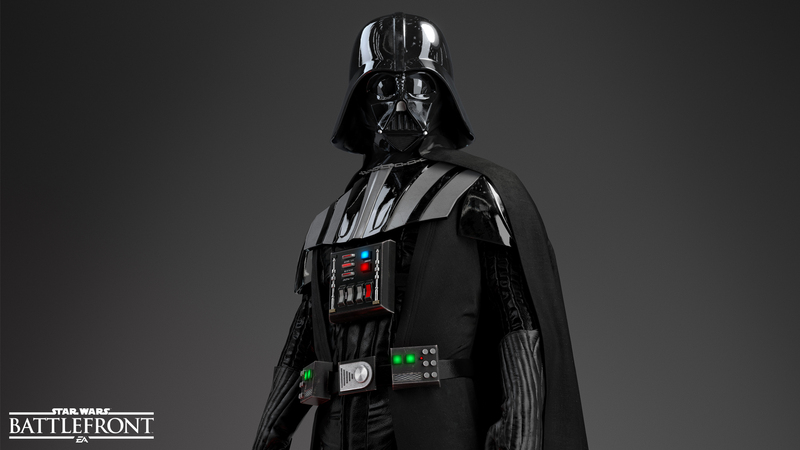 “If you face off with a Villain like Darth Vader one-on-one, you’re basically done. So the best strategy is to get help from your teammates and attack together. Also, the melee Heroes and Villains are particularly vulnerable from behind, so try to avoid frontal attacks,” Keen says. Vader, and all the other Heroes and Villains, are huge point buckets and there’s a lot to earn if you play your cards right. If you make the kill, or more than a certain amount of damage, you’ll be handsomely rewarded. Whether you’ll be facing this malevolent threat or be behind the mask yourself, we hope Darth Vader’s presence on the battlefield will keep the fight interesting when Star Wars Battlefront releases November 17. We have many more Heroes and Villains left to reveal, so stick around to this page for more in-depth looks.